The main rules are pretty much locked down at this point so only some clarifications or minor edits are expected or required. Otherwise they are good to go. The playtest scenario is the same as the one in the Alpha – it’s simple and is useful for balancing the forces. The other scenarios that will appear in the book will be tested once initial balancing work has been done on the faction lists. Factions – the beta will initially only focus on the BASIC army lists that will appear in the book for each faction. The full lists will then be tested once the core elements have been and points values etc. have been balanced between and within the factions. 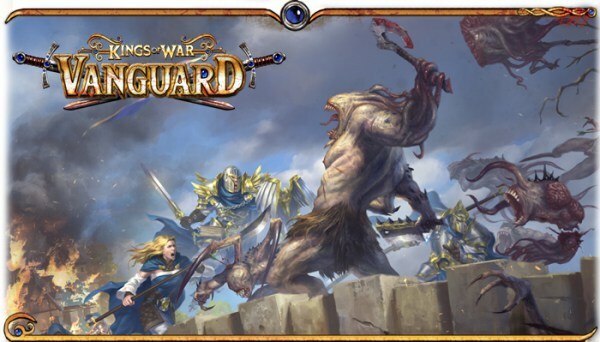 Kickstarter backers get the expanded lists (card decks) for the warbands they’ve pledged to receive: Nightstalkers, Basileans, Forces of the Abyss and Northern Alliance.